Sleep becomes more of a luxury as you age. You may hate it as a young child but you soon realize its importance once many of the things you now do as an adult takes too much of your time and you have little time left to sleep. Such an irony, indeed. We may always put the blame on technology because it is indeed a major distraction on just about every aspect but don’t forget that there are other things you also do that has a negative impact on the quality of your sleep. Think about the food you eat and the time you eat them. 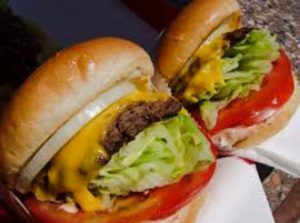 Eating greasy, salty or sweet foods too close to bedtime can keep you tossing and turning at night and unable to sleep, not even a wink. Think about it, it is basically your fault why you are unable to drift off to slumber once nighttime falls. Your stomach is full of unhealthy foods that take some time to get digested and give you a sugar rush you do not need when you should be preparing for sleep already. So, what should you do? It is pretty obvious. Avoid eating certain foods that are known stimulants and will keep you tossing and turning until the wee hours of the morning. The wrong late-night snack choices can add to your weight and subtract from your sleep. “It works both ways. A healthy diet improves the quality and duration of your sleep. And adequate sleep improves the quality of your diet by curbing hunger hormones,” explains Brigid Titgemeier, MS, RDN, LD. Ideally, to maintain your waistline, it’s best to eat all your meals before 6 p.m., she notes. If you’re not truly hungry, “a late-night snack is a waste of fuel at the end of the day,” she says. One of the worst offenders is cereal and milk. That’s because it’s hard to control how much you eat. “Cereal is loaded with carbs, especially if sweetened — and let’s be honest, it typically is,” says Julia Zumpano, RD, LD. Take care of your body and you won’t have a problem with it, especially in your youth. Sleep will come naturally because your body observes a natural circadian rhythm that tells your body when to get that needed shuteye and when to wake up in the morning. But if you don’t care for your body well and decide to feed it with unhealthy stuff, you have no one else to blame but yourself for whatever sleep problems you experience now and then. There’s also a connection between sleep and how we metabolize food. Diet and food choices help regulate our circadian rhythm, the roughly 24-hour cycle that our body follows each day, Kristin Eckel-Mahan, PhD, Assistant Professor at the Center for Metabolic and Degenerative Diseases at The University of Texas Health Science Center of Houston, says. Our circadian rhythms keep our body clock running on time, which in turn keeps all of our bodily functions running on schedule — such as falling asleep at night, waking up in the morning, feeling hungry when we need energy and metabolizing the food we eat. As much possible, refrain from eating anything heavy or unhealthy a few hours before retiring to bed. Give your body enough time to digest the food before saying good night. Sleep allows your body to recuperate from the all the stresses of the day and recharges your tired body so you have enough energy to last you another day. You can only do that if you eat the right food your body should have and not just eat anything you like or give in to your cravings. Overeating, for instance, has been known to lead to poor sleep quality, so try to resist the temptation to munch on something and wait for breakfast to satiate your hunger instead. While we are on the topic of sleep deprivation, a sleep disorder is also a factor why you lose sleep. Sleep apnea is often the first comes to mind because a lot of people have it especially the snorers. However, not everyone is thrilled at the thought of using a CPAP because of this: https://snoringmouthpiecereview.org/why-a-cpap-machine-is-probably-not-for-you, so compliance is low and leads to the worsening of sleep apnea. 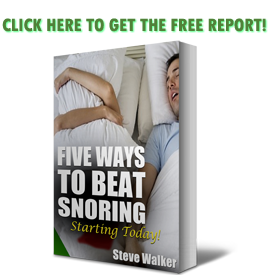 Another management option is a handy anti-snoring device like https://snoringmouthpiecereview.org/snorerx that works like CPAP minus all the hassle. It’s convenient to use, effective, and more affordable than conventional treatments aside from being non-invasive. Sleep like a baby once more with a gadget like this to keep you from snoring again.